Written by Ace Frehley and Sean Delaney during the Japanese Tour of 1977. 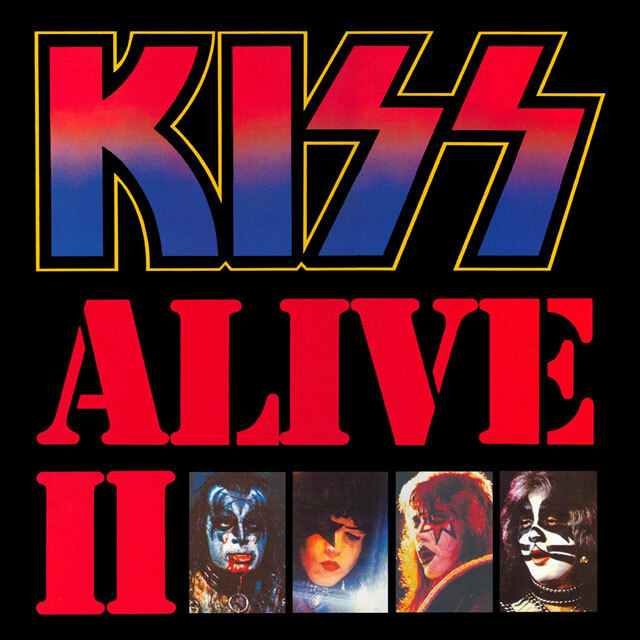 This was the only new studio song on “Alive II” on which he would perform. The song apparently didn’t include Gene, with Ace handling the bass duties himself. “Rocket Ride” was a song that Ace was considering using for a solo album after it was initially rejected while “Love Gun” was being recorded. That Ace was considering material, even at the time “Alive II” was being made, for a solo album might seem somewhat odd. However, KISS had negotiated their third contract with Casablanca following the release of “Rock And Roll Over” in November 1976. With the success that the band were having, coupled with Casablanca’s success with other artists such as Donna Summer, it was now possible to sign a more long-term arrangement between the band and label. The late-1976 contract turned out to be the band’s largest, and most extensive, contract with Casablanca, calling for the delivery of five albums between 1/1/77 and 6/30/79 (Sherman, Dale – Black Diamond). Additionally, and more importantly within the context of “Rocket Ride,” the contract defined solo albums as equaling 1/2 of a full band album with minimum number of songs to equal an album being 5. This confirms that the solo albums were not just something done to keep the band together in 1978 and had been planned well in advance of their actually appearing. One can see that even in late 1976 much of the rest of the “originals” era was very much mapped out. “Rocket Ride” was the second single issued in support of the album, backed with the “live” recording of “Tomorrow And Tonight.” It provided Ace with a top-40 hit when it reached #34 on the Billboard singles charts, and probably went someway towards improving Ace’s confidence in his skills as a songwriter and performer. The single was one of the bands highest charting in the United States yet was never performed by the original line-up live. The radio edit of this song has a duration of around 3:04 making it close to a minute shorter than the album version. The introduction riff seems to have more echo effect added to it while the guitar riff between the first chorus and second verse is cut in half. The scale section in the break leading to Ace singing “C’mon, grab a hold of my rocket” is also reduced, in this case by the third scale being removed. Ultimately, the song is shortened by the fade-out beginning during the first repetition of the “Baby’s on her knees, baby wants to please” line.